I feel like it's best to catch the Pats earlier before they hit their stride. Thanks for the well wishes. Enjoy your exciting schedule release day where we find out at what time and dates games are played against opponents we already know are being played!! Lol. It's almost as if you have something against schedule release day. Bizarre. So you aren't going to any games this year? Did you not read the reasoning behind most of the excitement? It's when we know which games we can do and when to schedule trips. Just go away. Your input is not needed here. I just don't understand why releasing the schedule dates has become such a grandiose thing in the NFL. It wasn't that long ago when the schedule dates were released much earlier than this. Just announce the dates and get it over with. Not everything has to be an event. Totally. Man, I hate having the ability to finally book those flights and accommodation to my chosen away game every year. It really grinds my gears when they release the schedule telling me when I can do that. Dude, chill out. Clearly the schedule release matters to people because it allows them to buy game tickets and airplane tickets and make hotel reservations, which they couldn't do until game dates are known. It's quite logical to be excited about an event which allows you to plan your participation in enjoyable activities. I think that is the exact opposite of the NFL's motto. Nah, present day caveman Jay_Fixit watches all of the games from his couch while he orders his woman to serve food and beverages, so he doesn't care when they are -- and he wants to make sure we all know about it! It takes a special person to invade a thread simply to tell people interested in the topic that they're all stupid. Really special. Get work done all day then enjoy the game! biggest thing they factor in is TV matchups...competitive balance matters very little to them. 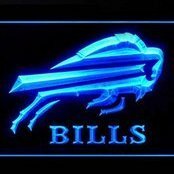 Witness Bills with 2 home games in the first 7 last year. Thanks! If true that takes out 5/16 possibilities (as I doubt the SNF opener is Pats/Bills). I'm wondering if the schedule will be released Wed this year instead of Thur as its the day before Good Friday. I know its not a national holiday in the US like it is Canada, but it is in 2 of the 3 big states (Texas & Florida). They start in January. Peter King usually posted something like this each year when he was with SI. I'm interested to see if he was able to carry that over to his new position or if it remains with SI. I’m sorry my jokey words affected you so much. I mean, there are literally dozens of threads with people having fun at the thread’s expense each and every day. But make fun of a day where dates are released and Eball ain’t having any of it. You must live a sheltered life. I guess that means it’s off limits to have a little fun with. I bet you guys squeak when you walk. Weird, why would they let players see it before everyone else? That seems like gaurenteed leaks waiting to happen. If that leak is correct (no reason to think it isn't) the Browns have FIVE primetime games this season including their first two. Two Monday nights, two Sunday nights, and a Thursday night. Bills @ Browns (not primetime) on 11/24.